Home / Blog / Is Couth a Word? Have you ever used the word couth? It wasn’t long ago that the word was unrecognized by dictionaries — what most people mean when they say a word doesn’t exist (which is odd, because if you can say it and spell it, and if it means something to at least one person, it certainly exists, right?). It’s in most dictionaries now though, and it means just what you’d think: the opposite of uncouth. It means classy; cultured, civilized, genteel. What’s interesting is that people were right — sort of. Uncouth did come from adding un- to couth. But it was a different couth. Bear with me. Couth is an Old English word for known or familiar. If someone new came to dinner, he would be described as uncouth. Originally, this did not necessarily carry any negative connotations. But foreigners who weren’t familiar with local customs would so often appear crass or uncivilized that in time uncouth came to be equated more with uncultured behavior than with the unfamiliarity of the visitor. For whatever reason, uncouth in this sense survived the centuries, while its base word meaning familiar passed into oblivion. So, one kind of couth produced the uncouth of today, which has only recently produced a quite different couth. This process of coining a word out of a mistaken assumption about an existing word’s origin is known as back-formation and it’s fairly common. According to David Feldman’s book, Who Put the Butter in Butterfly?, that’s how we got the word burgle. People mistakenly assumed that burglar is someone who engages in burgling (Tolkien engages in this kind of wordplay in The Hobbit). But it’s not so. The noun existed long before the verb form. 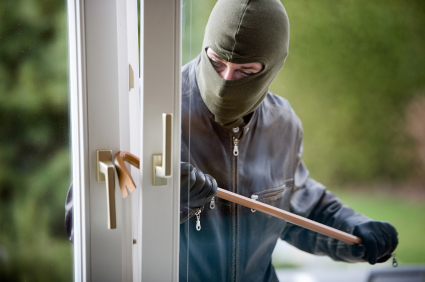 The first known use of burglar was in 1541, while burgle was first used around 1870. Appreciate this! When I was younger we definitely made the sorts of comments about couth that you mention. Thank you! I wasn’t sure couth was a word, and even here when I wrote it, the program changed it to “cough.” Your explanation was enjoyable and informative. I’m a counselor, and have need of more precise language than the words often in common usage. This is very helpful. Thank you again! About 15 years ago, when I was looking for a name for my company, I came across the word “couth” and that “uncouth” is more commonly used while the base word seem to have passed into oblivion. I named my company CouthIT — a humble effort to bring back the beautiful base word back into circulation.